If you’ve been following me for a while, you’ll know I feel quite passionate about giving to charities; I ran one for a number of years, and I know the impact that even small gifts can make. So….Red Nose Day? Yeah, let’s raise some money, shall we? Red Nose Day, sponsored by Walgreens, raises monies for kids – there’s a tv fundraiser on tonight so be sure to check it out. And pop by your local Walgreens, too, and nab a nose to wear through the day! See if you can make someone smile! And be sure to jump in on the auction later in this post! I created today’s piece of art to auction off – since we’re not used to doing auctions here on the ol’ blog, I’m leaving it open for the whole weekend so we can all go get the word out. 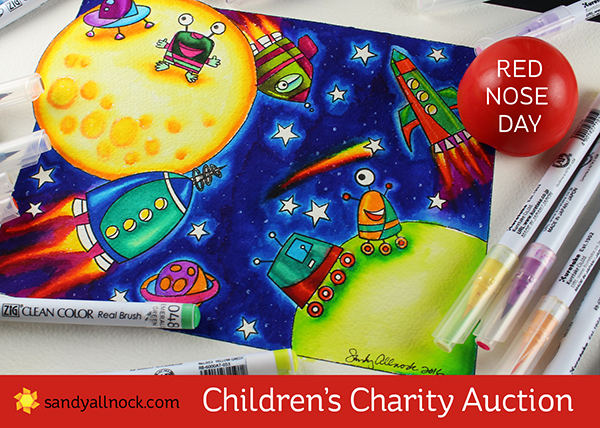 If you know someone with a young person who loves rocketships and aliens – let them know this auction is available, okay? Share it over to Fb and Twitter and Instagram and wherever else you share things…I’ll have posts up on those three that you can go share if you’d like! Watch the video below or click HERE to see it in HD on YouTube. 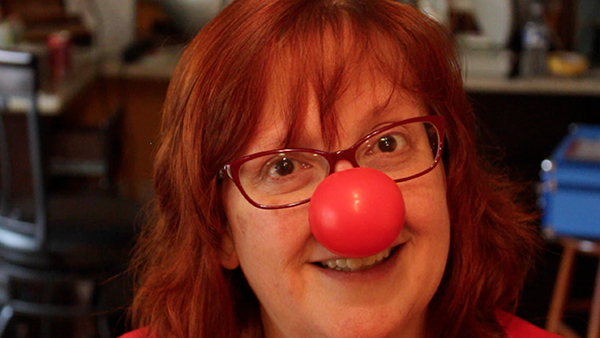 I wore my red nose while drawing – but you wouldn’t have wanted to hear the voiceover with that on the whole time. LOL! Watch out on Periscope or Facebook Live…there might be more coming today! 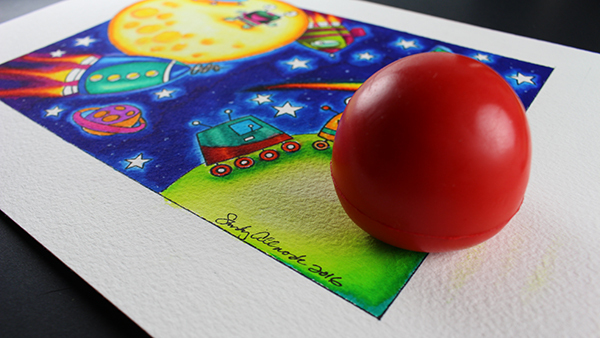 Please be generous on Red Nose Day…and all year! I came to bid again and the auction ended? It said it’s until May 31st. Beautiful donation, and children charities are ALWAYS a great thing! Wow! You are so generous and kind. As someone who serves at a local youth ministry, I loved your comments about donations. In my 7 years working in youth ministry, I can say that there is no such thing as a small donation. So often I have been humbled by the generosity of people. Each and every donation (money or time, big or small) is a blessing born of the person’s desire to support the mission of the charity and that is inspiring. You’re absolutely right, people give to organizations they have passion toward or the people they know and trust have passion toward. What a beautiful piece, Sandy!! Thanks for supporting the MS Society through your cousin’s participation in Bike MS. My sister has MS, so I really appreciate it!! you are so wonderful……especially chatting about the charities while coloring; I guess you used a bit of water thruout the coloring; I do the Ronald McDonald & other charities. Your nose blends w/your hair; TFS!! I love the vibrant colors! Thank you for supporting children’s charities.